Kickoff Halloween weekend with a night filled with action Friday, October 30th. 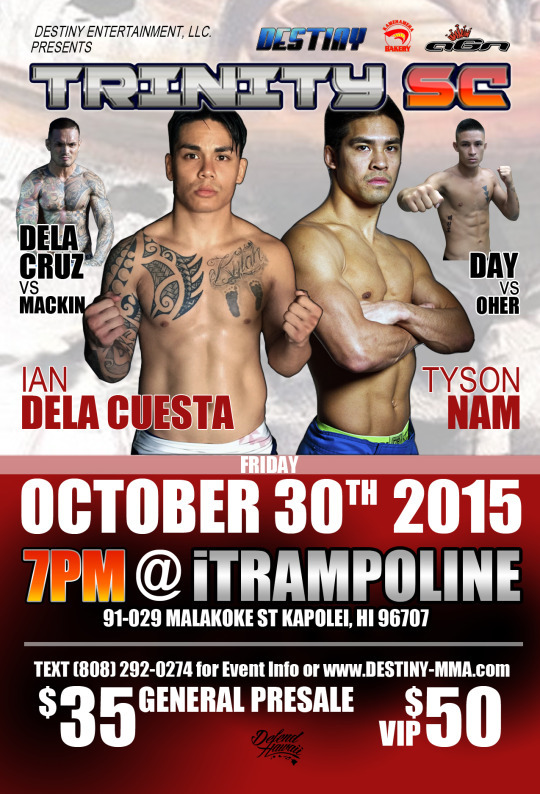 Come out to support Hawaii’s youth fighters starting the night, and than enjoy upcoming amateur fighters throwing down before the pro main card headlines the night. Tickets on sale this weekend. Aloha Ohana, welcome back to another segment of our Defend Hawaii Weekend Recap. This past weekend was an eventful one, filled with local music and sports. First off, Friday October 2nd, we celebrated the EP Release of “Keep Your Head Up” by Broke Mokes. We teamed up with the local hip-hop group & threw a Release Party for them over @ The Republik. What an awesome event with awesome talent and people. This weekend wasn’t all smiles as our College Football Team the “Rainbow Warriors” played against Boise State, resulting in an upsetting loss. Boise State Broncos continued their streak of big-time blowouts by blanking the University of Hawaii by a score of 55-0 on Saturday. Its alright though Warriors, a loss only means tougher practices. Despite the loss, lets continue to support our local athletes that are working towards their goals. Don’t forget that this weekend October 10th, Rainbow Warriors play off against San Diego State for their Homecoming game. We hope to see everyone this weekend at The Aloha Stadium.